Where to watch the Nintendo Direct? Keep it tuned to Shacknews. There's a new Nintendo Direct coming later today at 6 PM ET, and we'll be tirelessly covering all the news that's fit to print from Nintendo's latest presentation. September 13's Direct is said to feature information about "3DS and Nintendo Switch games," according to Nintendo, but this close to the debut of the paid Nintendo Switch Online service, we imagine some additional details will be shared about that, too. Just as a reminder, this is the very same Nintendo Direct that had previously been delayed due to the unfortunate earthquake in Hokkaido, Japan last week. 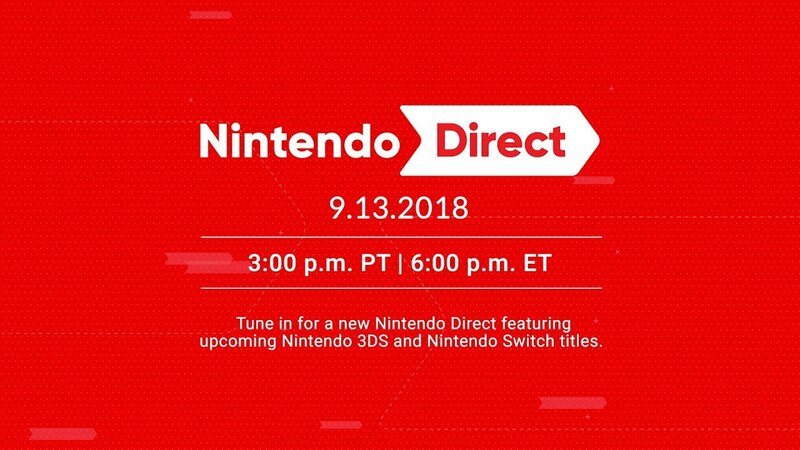 Where can you tune into the Direct? Just above, of course, on Shacknews! Check out the stream via YouTube embed above this paragraph and remember to come back at 6 PM ET for all the Nintendo you can handle. The estimated runtime of the stream is about 35 minutes, so it's not certain what kind of news we're going to get, but you can be sure we'll keep you updated with all the cool announcements to come. See you in just a few hours! Live in 2 hours, thank yebuz for that yt feature showing the time. When I read "3PT/6 PM ET" I have too google and convert it every time. This must be confusing for you when you watch college football and NFL games every weekend, Hoax jan. I had to stop watching when they disrespected the flag and the veterans! Currently sitting here with my shoes on fire, I should have taken em off. The last time I saw anything football related was in 1991, bruce willis and daymon wayans in the last boyscout.